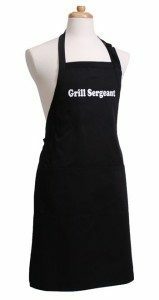 25% Off Men's Grilling Aprons At Flirty Aprons! You are here: Home / Great Deals / 25% Off Men’s Grilling Aprons At Flirty Aprons! 25% Off Men’s Grilling Aprons At Flirty Aprons! Is the man of the house the Grill Sergeant or is he Hot Stuff? This year head over and shop for 25% Off Men’s Grilling Aprons At Flirty Aprons! Choose from the fun slogans that fit your husbands characteristics for a great Father’s Day gift he will love using! Step outside the box and ditch the traditional tie gift for this fun apron at Flirty Aprons instead!